There are pros and cons to buying both new construction homes and older resale homes. Some retirees are happiest choosing every element of their new home, and others find that the benefits of older homes outweigh their minor drawbacks. Choosing whether to build a new home or buy an older resale home is a common dilemma for potential homebuyers. A sparkling new construction may be eye-catching when visiting active adult communities, but it isn’t always the best choice for everyone. Before making the decision, it’s important to understand the pros and cons of buying an older home, especially when it’s in a 55+ community. When it comes to house hunting, resale homes can be a great value. This is especially true when they have after-market upgrades like granite countertops, hardwood or tile flooring, updated kitchens, or installed window shades and treatments. These types of upgrades are also available on new construction homes, but the choices are limited to whichever features the builder is offering at the time the home is built. For example, options may only include a few specific brands and models of appliances or light fixtures. Also, the same upgrades on a new construction typically raise the home’s price more than they do when they are an existing part of a resale home. 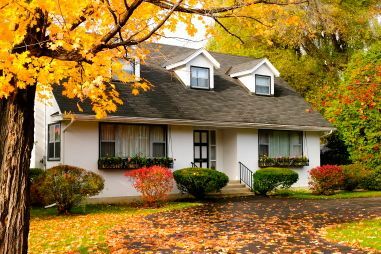 Many people prefer older homes because they have more mature landscaping, including lush plantings and larger trees. They may have more "character" with backyard plantings or unique touches added by the previous homeowners. In general, older homes feel more established than newly built homes, which often have small seedlings and yet-to-be-sodded yards. Homeowners who have purchased new construction homes before know that minor settlement cracks, nail pops, and other issues frequently show up during the first year. While most problems are covered under a warranty and builders will usually fix them with no charge, some homebuyers prefer to skip this by purchasing a slightly older home which is already settled. Of course, an older home can have more problems than simple first-year settlement. Every home, no matter how well built, will reach a point when its basic systems need to be repaired or replaced. This means an important part of the buying decision depends on two factors: how old the home is and how well it was maintained. A home that is more than twenty years old but has been well-maintained can be a better investment than a ten-year-old home that has been neglected. This is particularly true if that older home has passed the point when its original systems gave out and the homeowners opted for high-quality, energy-efficient replacements. The layout of new construction homes will likely reflect the current design trends, such as open floor plans and functional loft space. But some homebuyers prefer the design of older homes. An older layout might have features that are harder to find today, such as a variety of cozy rooms instead of an open design, or perhaps a breakfast nook instead of a sunroom. When looking at active adult communities, homebuyers can also find benefits in a more established community. The clubhouse or amenity center may not be quite as state-of-the-art, but it is nice to have facilities which are already open for business, instead of waiting for the plans to be constructed. If the community is completed, homeowners also won’t have to put up with construction equipment constantly passing through. Just as they prefer a variety of recreations, active adults have different priorities when it comes to buying a home. There are pros and cons to buying both new construction homes and older resale homes. Some retirees are happiest choosing every element of their new home, and others find that the benefits of older homes outweigh their minor drawbacks.